A fun sturdy Electronic Interactive Toy Steering Wheel With loads of realistic functions, just like you find in a real Car. Left and right turn signal buttons, horn, start up key dial, police car sirens. Easy to clean,fun to play making clear sound, rhythms and songs. These are durable and make a great sound.Your little one will have hours of fun with this cool. Cute animals shape design, it is very funny and easy for your little one's hands to hold and play. Or play dough cutters. smoke free. 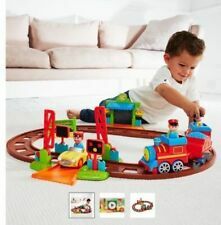 little ones will have lots of fun. can use for cooking. all good still. RED AND BLUE CASTLE KNIGHTS. Large Wooden Knights Castle, with draw bridge and keep, brilliant traditional toy. Condition is Used but in good condition. Buyer collect as it's large or postage can be discussed I think you can take bits of it apart! Role play with this fairy garden, wooden set. In used condition. From mother care. IDEAL FOR favourites list ! Generally Good to very good. Wild / Zoo Animals. See My other Animals listed. Solid Plastic. Generally Good to very good. Unlock, unlatch, open the hinged panels, and count on finding fun when the pictures beneath are revealed! Kids will delight in discovering what's hiding behind the locked and latched panels on this wooden play board and educational toy in one. 2 Dolphins 1 Shark. Generally Good. Fairy figurines and fairy door figurine, hand cut here in the UK. One of a kind, and all 3 included. Great for crafts or as stand alone pieces. SALE!!! 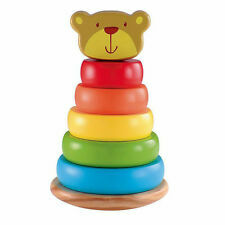 Toy Scales, Educational, Early Learning Centre, Toys and Games. Raptor Dinosaur. Large Size 60 cm. Generally Good. Restoration project. If required it will cost extra. Generally Good. ery good. Good. to be expected for its age. various minor faults. We will try to answer any queries within 24 hours. more significant faults. Condition - Used Played with. Wooden Jigsaw. Educational Toy with sounds. Generally Good to very good. Children toadstool decorative chair. MUSHROOM CHAIR. - This little mushroom will put a smile on any child's face. - Price for 1 chair. - Any colour combination. 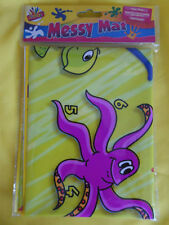 - Easy to clean,just wipe it with a wet tissue. “Lovely canvass dog pictures x3. Perfect for girls bedroom. Condition is good used. Wooden Jigsaw. Educational Toy. Generally Good to very good. Wooden Jigsaw. Educational Toy. restoration project. Generally Good to Very Good. If required it will cost extra. Very good. Good. to be expected for its age. various minor faults. Green Raptor Dinosaur. Large Size 40 cm. Generally Very Good. 2 Track Ramps in Blue - good condition for 9cm wide track systems.